Bill Buckner, one of our fantastic Bishop Spencer Place residents, was only eight years old when his father, General Simon Bolivar Buckner Jr., personally mixed and served mint juleps for President Franklin Roosevelt and General Douglas MacArthur in 1935. 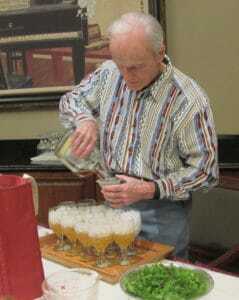 At 90 years old, Bill continues to share the story of how this famous beverage came to be a favorite of FDR. 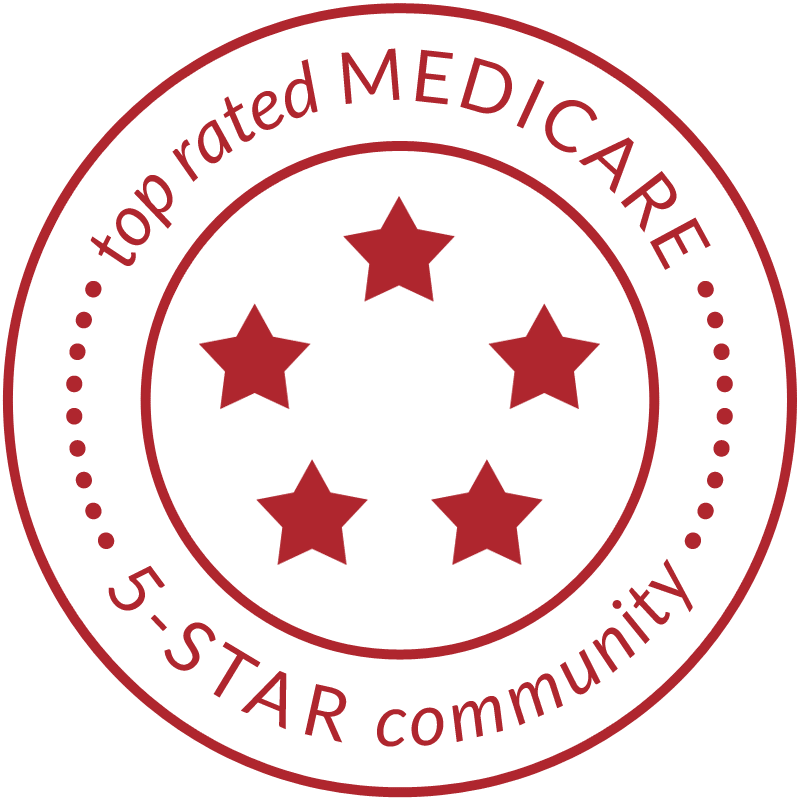 The Centers for Medicare & Medicaid Services has released its most recent Medicare Star Rating Report and we are pleased to announce that our York Place Skilled Nursing & Rehab has maintained its overall 5-star status — and has also achieved a 5-Star rating in every one of the sub-ratings. The sub-ratings include health inspection, quality measures, staffing and RN staffing. 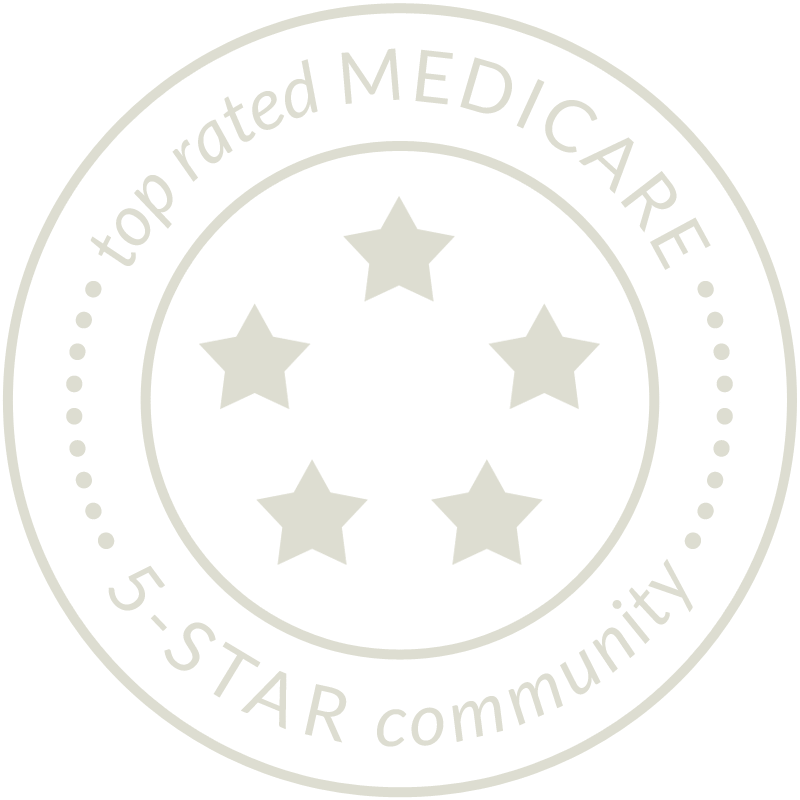 According to Medicare’s Nursing Home Compare website, York Place is the only skilled nursing & rehab community out of 133 such communities within 50 miles of the 64111 ZIP code that has an overall 5-star rating plus five stars in all the sub-ratings. These ratings are a reflection of our community’s ongoing commitment to our long-term residents, as well as to those who join us for a short-term rehab stay. 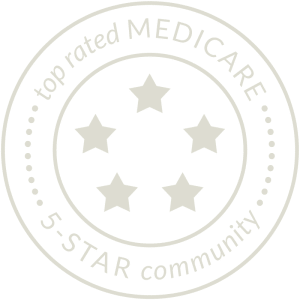 The 5-star ratings are only awarded to the top skilled nursing & rehab communities, and we are proud of our exemplary York Place team who provides compassionate and unparalleled quality care. premier continuing care retirement communities. Under the terms of the agreement, effective Dec.
share a common heritage as ministries of the Episcopal Diocese of West Missouri. email mhanna@bishopspencerplace.org or visit www.bishopspencerplace.org. Bishop Spencer Place’s York Place Skilled Nursing & Rehab is a recipient of the 2016 Excellence in Action Award for high employee satisfaction. The National Research Corporation’s Excellence in Action awards recognize long-term care communities that rank in the top 10% of the National Research Corporation product database, the largest proprietary satisfaction database for senior care in the U.S.
We begin August excited to announce construction is well underway on three new apartment home floor plan styles in our Madison building. We can’t wait for you to see them! Our maintenance team has been working hard all summer on various enhancement projects throughout the community, and residents have been busy both here in town and off on various trips around the country visiting friends and family, seeing the sights and even fly fishing! We may be upon the dog days of summer, but you won’t catch us lying around! Summer is upon us and it’s already been a hot one! Fortunately, BSP residents don’t have to worry about going out in the heat to take care of home or landscape maintenance; leaving the house to exercise, go to the bank, beauty salon or post office; or even getting in a hot car to drive to a doctor’s appointment or run errands. And there are plenty of ways to take part in activities, enjoy delicious restaurant-style meals and spend time with friends without ever leaving the air conditioning! This month we celebrated National Older Americans Month, honoring those who have given so much to pave the way for the generations following them. This year’s theme has been “Blaze a Trail” – something Bishop Spencer Place residents have been doing their whole lives! Whether in their professional careers, philanthropic endeavors, service in the community and in their homes, our residents have made their marks…from a resident who marched with Dr. Martin Luther King, Jr., in Selma and another who founded the first nursery school for children with disabilities in the area (and pioneered integration at that school) to one who was instrumental in the development of some of Kansas City’s most recognizable landmarks and another who was honored to carry the Olympic Torch in 2002. There are so many amazing stories to be told by our residents and so many chapters remaining to be written as they continue to serve the community with great dedication. President Obama signed the Presidential Proclamation for Older Americans Month 2016, saying. 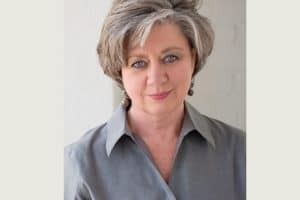 “Through a lifetime of contribution, older Americans have helped ensure that the founding promise of our country remains within reach for their children and grandchildren, and their individual narratives reflect the extraordinary history of our Nation. This month, we celebrate our Nation’s older citizens, and we show our appreciation for all they have done to enrich our communities and drive America forward.” Click here to read the full text. May is also the month we celebrated our nurses, as well as National Nursing Home Month. Keep reading to see what else happened! Our Westport Room transformed into Churchill Downs as residents packed in for the 142nd running of the Kentucky Derby. The Greatest Two Minutes in Sports were celebrated with authenticity including family-recipe frosted mint juleps; beaten biscuits with ham; seersucker suits, bow ties and large hats; and a just-for-fun betting pool to keep things interesting! One of our residents prepares the juleps himself, steeping the 90.5 proof Kentucky bourbon with mint sprigs from our own herb garden for several days in advance of the party. 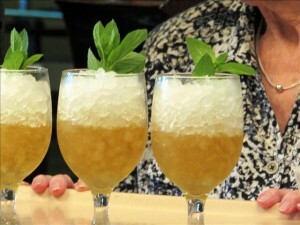 He has been making juleps for around 50 years, following his famous family recipe that once served – and delighted – President Franklin Delano Roosevelt. Enjoy more photos of this festive event! We’re so proud of Melissa Steck, our Administrator and Vice President of Healthcare Administration, for being honored as a 2016 recipient of the American College of Health Care Administrators’ (ACHCA) Eli Pick Facility Leadership Award! This national award recognizes administrators whose teams have achieved dimensions of organizational quality that few others have been able to reach. 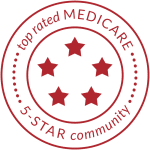 Eligibility for this award is based on three years of skilled nursing community survey data, including the health, fire, life safety and complaint surveys, as well as top quartile performance on designated quality measures. The criteria also includes 80% or greater community occupancy and a three year avoidance of a Special Focus status. According to its press release, the ACHCA “firmly believes that post-acute and aging services excellence is a reflection of leadership excellence.” At Bishop Spencer Place, we’ve been proud of our Five-Star Quality Rating from the Centers for Medicare & Medicaid Services and are thrilled that the prestigious ACHCA has recognized Melissa for her hard work in making BSP a five-star community and leading an outstanding team that ensures we stay that way! 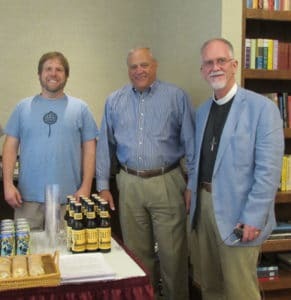 The Rector and Vestry of Saint Paul’s Episcopal Church honored their BSP parishioners and all BSP residents with a special craft beer tasting and food pairing. The Rev. Stan Runnels from St. Paul’s, John Couture from Bier Station and local beer expert Patrick Combs of Brytos Beer Education guided us through a variety of delicious samples. We loved it! See more photos of the tasting. May has been American Stroke Month, which is the annual campaign to increase stroke awareness and to educate Americans that stroke is largely preventable, treatable and beatable – in fact, 80% of all strokes are preventable. 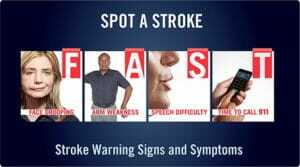 While someone has a stroke every 40 seconds in the U.S. and stroke is the number four cause of death and leading cause of disability in the U.S., many Americans do not think of stroke as a major health concern. We’re proud of our connection with Saint Luke’s Hospital – one of the leading stroke hospitals in the nation. Click here to read about Saint Luke’s Stroke Center. The more educated we are, the more stroke we can treat early or prevent – click here to download a brochure on stroke prevention. And for people who have already experienced stroke, this article shares 15 things caregivers should know after a loved on has had a stroke. 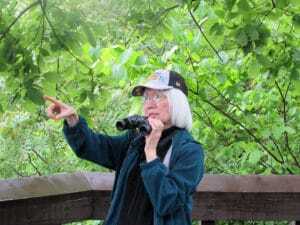 We braved the early-morning drizzle so as not to miss a birding excursion at Weston Bend State Park. During this very active time at the park, two migration flyways merge along the Missouri River and many birds use Weston as a rest stop on their journey. Our wonderful guides provided binoculars and their expertise to ensure we we would spot the vivid beauties in full breeding color. We love our adventures with the Weston Bend State Park crew! View more photos of our birding adventure. History came alive as Emmy Award-winning actress Elaine Bromka staged her Off-Broadway play, “Tea for Three,” for two showings here at BSP. 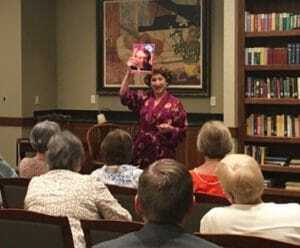 Through her portrait gallery of three First Ladies, Ms. Bromka gave a poignant peek at Lady Bird Johnson, Pat Nixon and Betty Ford in this lively, yet touching play co-written with Eric H. Weinberger. Such a special experience for us all! Enjoy tea with the first ladies. 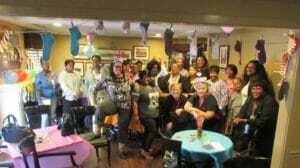 The place was poppin’ with festivities in honor of National Nursing Home Week! 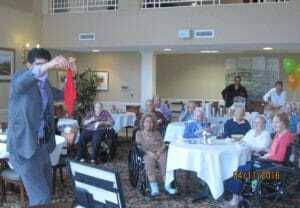 A professional magician, games, live music and more entertained our residents in our skilled nursing and rehab areas. This special week acknowledges the perennial contributions of older adults to our country. 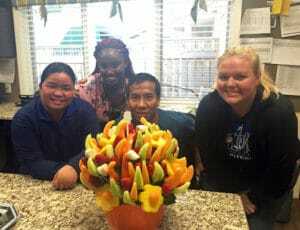 Our dedicated staff treats residents like family and cares for them with love and compassion. And we’re so fortunate our residents give all that love back to us! See more photos from this fun celebration. BSP’s Windsor Care team members enjoyed a spirited customer service training session during which they learned and discussed the many ways to knock the socks off of their in-home caregiving clients. Sharon Pace, independent living apartment nurse and director of Windsor Care, and her team lead twice-annual inservices to emphasize the importance of first-class service and highly-competent care. This year, the marketing and environmental services teams stepped in to provide lively guest presentations! Knock your socks off with more photos. We’re so fortunate to have so many amazing nurses to celebrate during National Nurse’s Week! We’re so proud of and humbled by the hard work, dedication and exceptional, compassionate care provided every day by the nurses on our skilled nursing, assisted living and in-home care teams. So grateful for all they do! Panel Luncheon: You Ask. Residents Answer. There’s only one way to get the real scoop on retirement communities. This is your opportunity to learn insider insights straight from residents who were once in your shoes, asking the same questions. You’ll hear their stories, find out why they made the decision to move to a retirement community and ask any question that’s on your mind. All while enjoying a delicious complimentary lunch prepared by our culinary services provider, PB&J Restaurants. You’ll also hear from guest panelists Claire McCurdy of ReeceNichols and Linda Scardino of Gentle Changes. Claire will provide insight on the local real estate market, including the estimated value of your home. Then, Linda will share how she can help you sort, pack, unpack and get settled in at Bishop Spencer Place. Wednesday, June 29 | 11:00 a.m. Seating is limited, so R.S.V.P. online or call Kim at (816) 595-5015 by Friday, June 24. What would it take for you to decide to sell your home. Seriously, what would it take for you to decide to put your home on the market right now? A guaranteed full price offer — at more than you probably thought it was worth? That you could close and move in 60 days? That you’d have to deal with the hassle of getting a call just as you’re sitting down to dinner and being told that yet another family wants to take a look at your home in 30 minutes for a minimal amount of time? Read the rest of Claire’s Housing Market Update. Dogwood trees in bloom are a wondrous sight to behold, but did you know they have a backstory? Legend has it that Jesus was crucified on a cross made of dogwood, which caused the tree great sorrow. Jesus, aware of this, promised that: 1) the dogwood would never again grow tall enough to be put to such a cruel use; and 2) it would henceforth bear flowers in the shape of a cross, to remind all who see it of Christ’s suffering, and of the compassion of the dogwood. 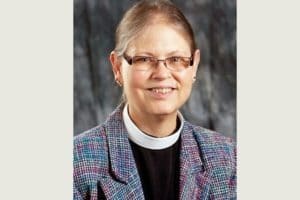 Continue reading Chaplain Kathy’s May reflection. We would love to share our beautiful community with you! Mendi, our Director of Marketing, welcomes the opportunity to meet you and answer any questions you have about today’s senior living options – and how to make the most of your retirement. Please call or email Mendi to schedule a personal appointment and tour. What a beautiful spring we’ve had so far! Our Bishop’s Garden and Memorial Garden are in full bloom, residents have been out cleaning up the herb garden and prepping it for planting, and each afternoon finds folks soaking up the sunshine on our patios and garden rotunda. April is always a beautiful time at Bishop Spencer Place! This month we focused on Parkinson’s Awareness and celebrated our volunteers as part of National Volunteer Month. We have amazing residents who give their time to causes dear to their hearts and we were proud to celebrate them all – plus folks from the greater community who volunteer here at Bishop Spencer Place – at our annual Volunteer Appreciation Reception. Keep reading to see what else happened this month! March winds bring April showers, which, in turn, bring May flowers. And for at least a century or so, April flowers led to showers of May baskets on the front-door knobs of American homes. Gotcha!! Now…on to your regularly-scheduled newsletter! The Bishop’s Garden is just beginning to bloom, the Garden Committee is preparing for the annual trip to purchase plants for the Memorial Garden and we’re all ready to root for the Royals on opening day this Sunday. March is always a great month and this one was no exception. Bishop Spencer Place received the Excellence in Action award from My InnerView by National Research Corporation. This honor recognizes long-term care and senior living organizations that achieve the highest levels of satisfaction excellence, as demonstrated by overall resident or employee satisfaction scores that fall within the top 10 percent of the My InnerView product database.